After the Christmas holidays concluded, I had high hopes that January would be a slow and relaxing month. As many of you can probably relate, January has shaped up to be an incredible busy month. My turquoise (in the colour “glacier”) Halfmoon rectangular bolster and silk lavender scented eye pillow have been helping me relax and stay zen during one of the busiest times of the year for a high school teacher: exam week. Now that I’m back into the routine of working, exercising, eating healthy, and maintaining a relatively balanced lifestyle after the break, I need to remember to take the time to relax, reflect, and get rejuvenated. It’s so easy to forget to take the time for relaxation during a time when we need it the most. The ECommerce store manager of Halfmoon Yoga Products said it best, “it takes more willpower to lie still for 10 minutes than it does to go to crossfit”. Why is it so hard for us to take the well earned time that we need (and deserve) to recharge? Now that I have my own personal bolster and eye pillow I have no excuse not to take the time I need when I need it. I can no longer blame it on the fact that there is no yoga class on a certain day to help me get balanced. I have everything I need to practice at home or on the road (or in any location for that matter). 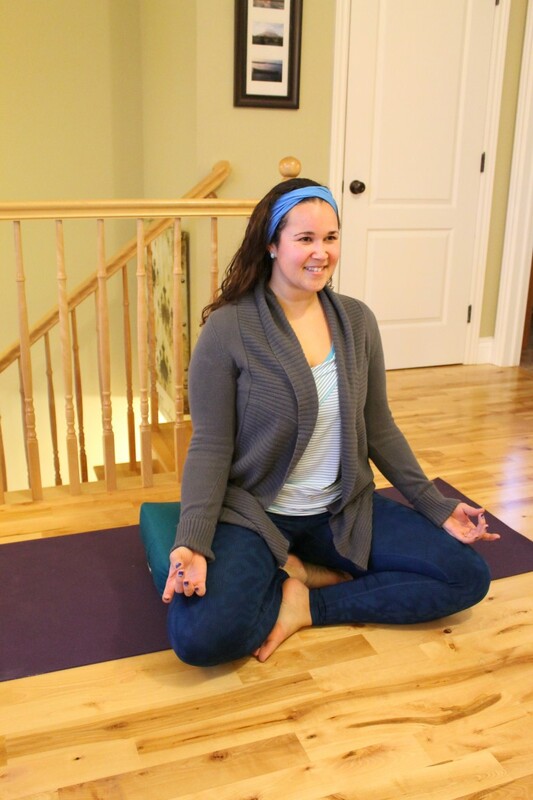 Whether it be practicing yin, kripalu, or just sitting with my breath for a few moments to find myself again during a hectic time, Halfmoon yoga products makes it easy for me to refuel at anytime. 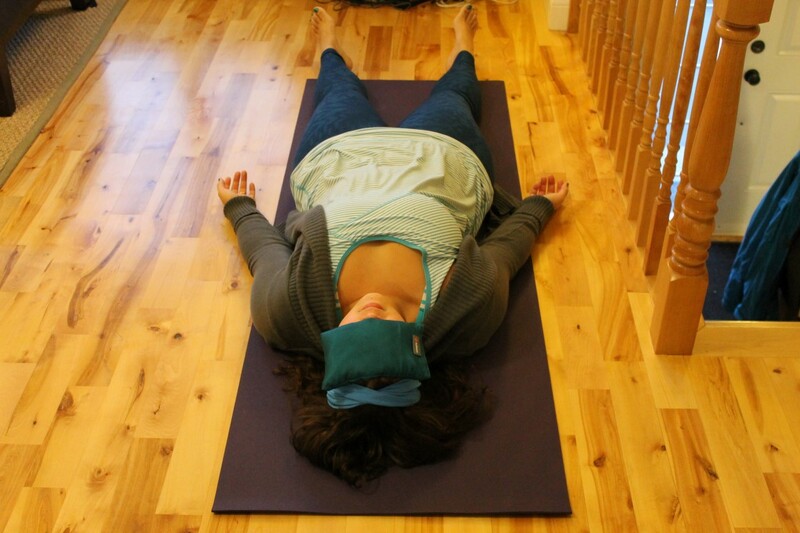 Halfmoon’s rectangular bolster and silk eye pillow help to complete my yoga practice. 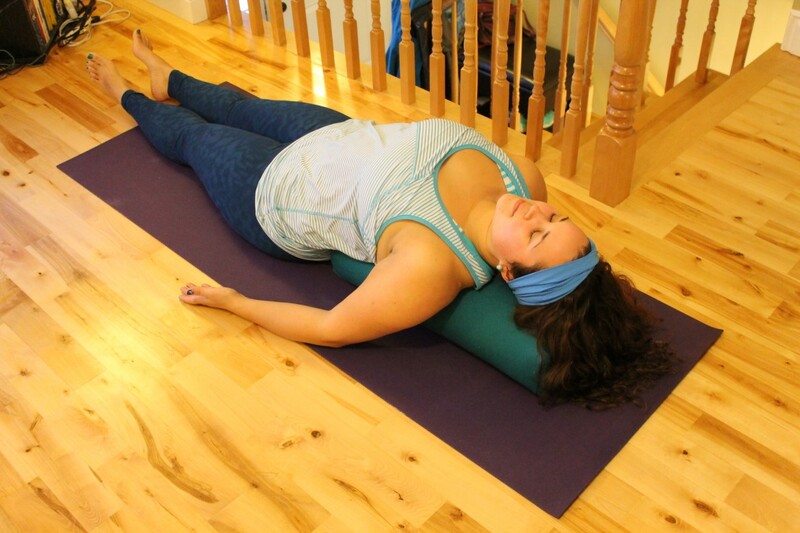 Both the bolster and eye pillow provide me an opportunity to practice restorative yoga right at home whenever I need it. Halfmoon’s 100% cotton twill cover has a convenient carry handle for easy transport. The bolster itself is made of hand-rolled cotton batting in an unbleached cotton casing. 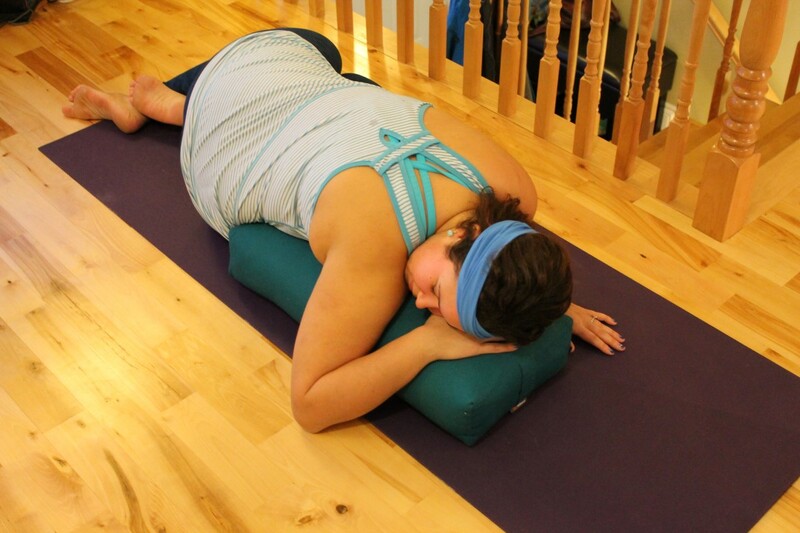 Weighing in at less than 5 lbs., the wide (5″ x 10″ x 24″), flat surface of the bolster make it incredibly stable for supportive yoga movements. The rectangle bolster (in the colour glacier) is made with the intention for deep forward bending and gentle chest opening movements. 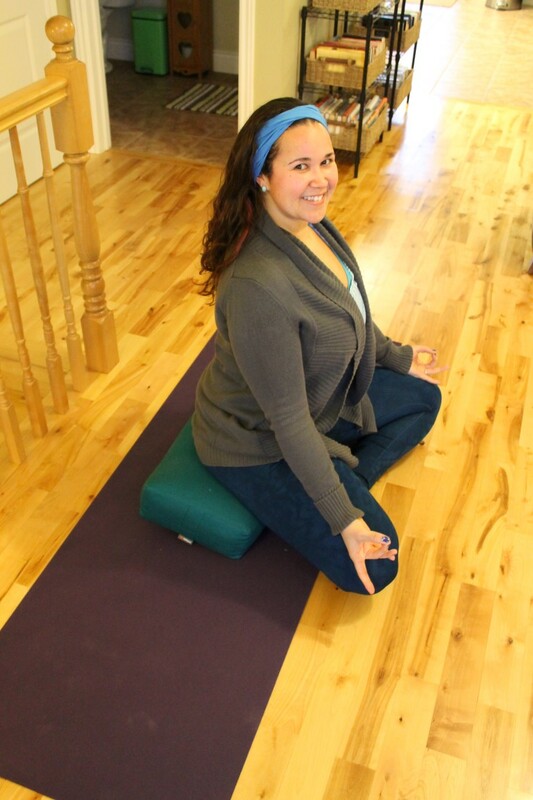 I had fun trying out Halfmoon’s popular suggested postures with the bolster. After a week of using my bolster regularly I’m hooked! 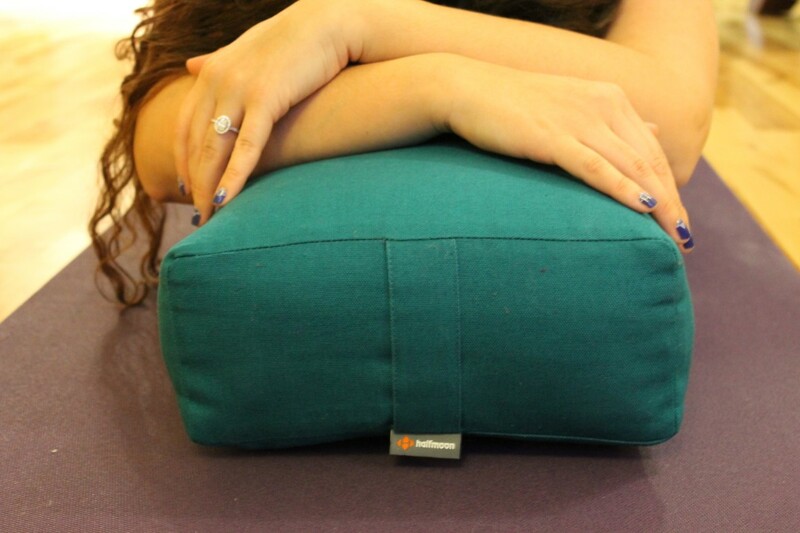 Having the bolster at my fingertips makes it easy for me to take the time for myself whenever I need it. 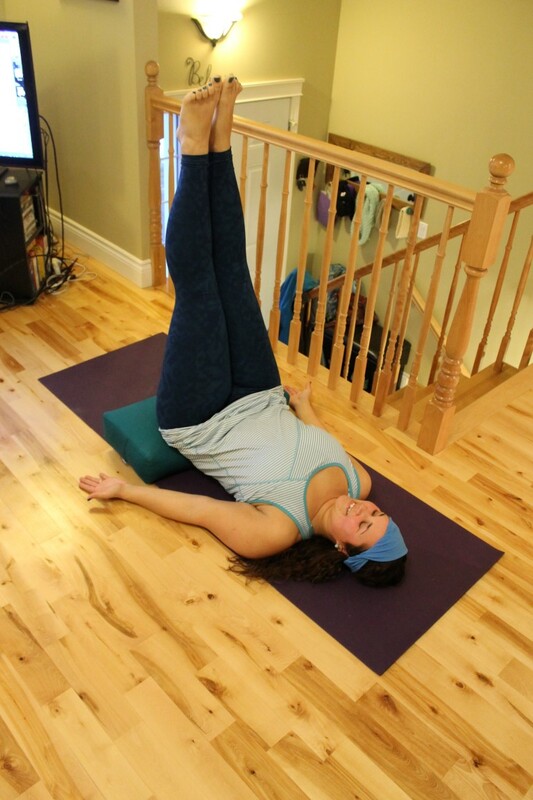 There are limitless possible relaxing postures to do with the bolster to help support any yoga practice. Which posture is your favorite? Halfmoon’s lavender scented (it also comes unscented) eye pillow in the colour glacier is made of 100% Dupioni silk and is filled with flax seeds in an unbleached cotton casing. As I inhale deeply, the lavender scent of the eye pillow above my nose immediately calms my mood. I like to use the eye pillow before bed to help me relax after a busy day of teaching. The weight of the flax seeds and the soft silk fabric against my skin helps to calm my mind. It’s not long before I find myself quickly drifting to sleep. Halfmoon’s eye pillows are 8″ x 5″ and larger than the average eye pillow. 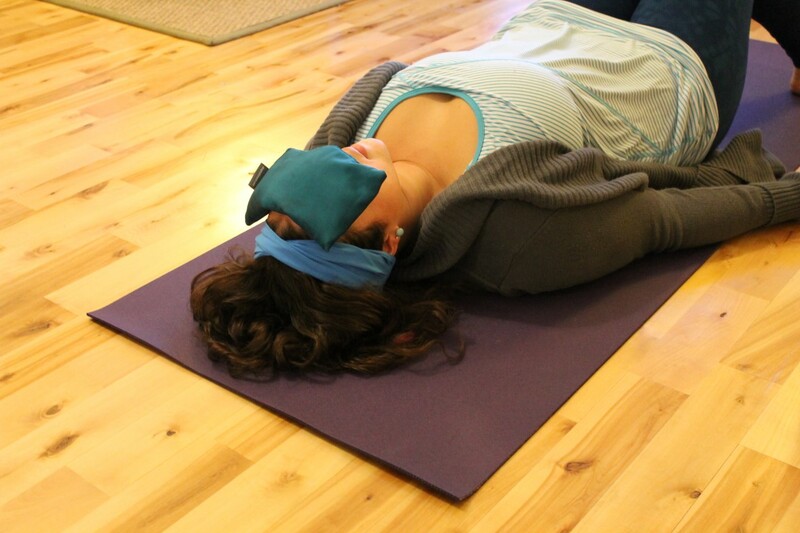 The coverage the eye pillow provides maximizes the benefits of savasana. Can you tell that I’m in my own little world? I can’t say enough of Halfmoon’s rectangular bolster and silk eye pillow. And bonus, these two products are eco-friendly and handmade at Halfmoon in Vancouver, Canada. As a Canadian, I’m always happy to support Canadian companies, especially ones that also produce in Canada. After trying Halfmoon’s products for the first time, I look forward to trying more of their products. Any suggestions of what products to try next? 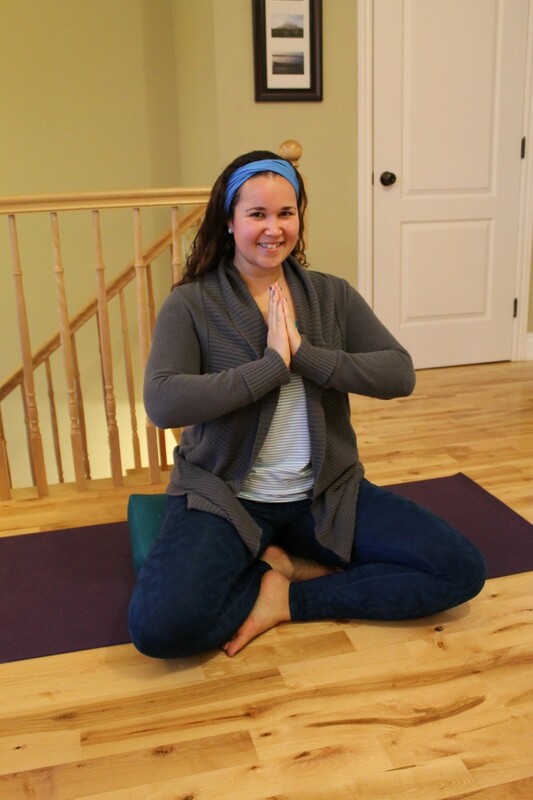 Connect with Halfmoon Yoga Products on social media: Facebook, Twitter, YouTube, & Pinterest. Halfmoon is currently having a sale this month with 15% off all yoga mats during the month of January; make a Halfmoon yoga mat your own private island as they say on their homepage. 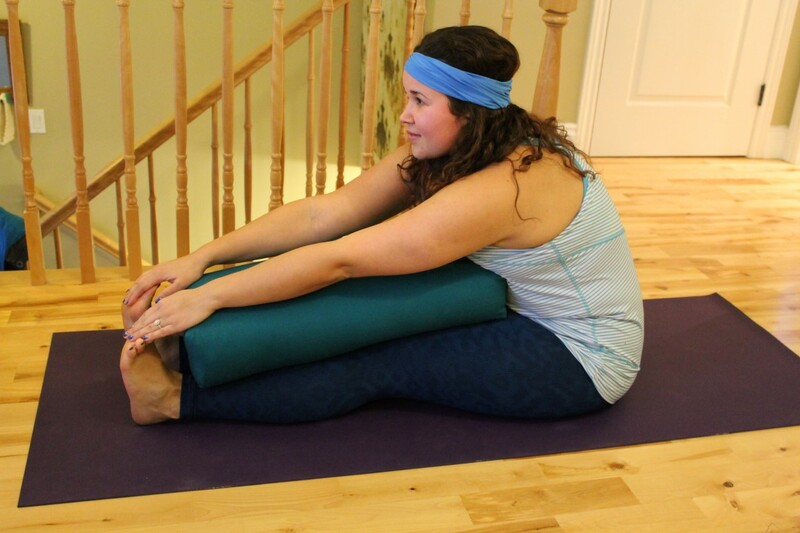 This entry was posted in Lifestyle, Reviews, Yoga and tagged Bolster, Eye Pillow, Fitness, Halfmoon, Halfmoon Yoga, Halfmoon Yoga Products, Health, Lifestyle, Turquoise Compass, Yoga, Yoga Props by Turquoise Compass. Bookmark the permalink. Beautiful poses and beautiful message. Yes, when we seem to have the least amount of time for yoga is when we need it most. I try to get in 3 sun salutations every morning before I start the day. If I do, my spine/body work so much better for me during the day. Your props are perfect. Thank you so much. I knew you would be able to relate to this story. 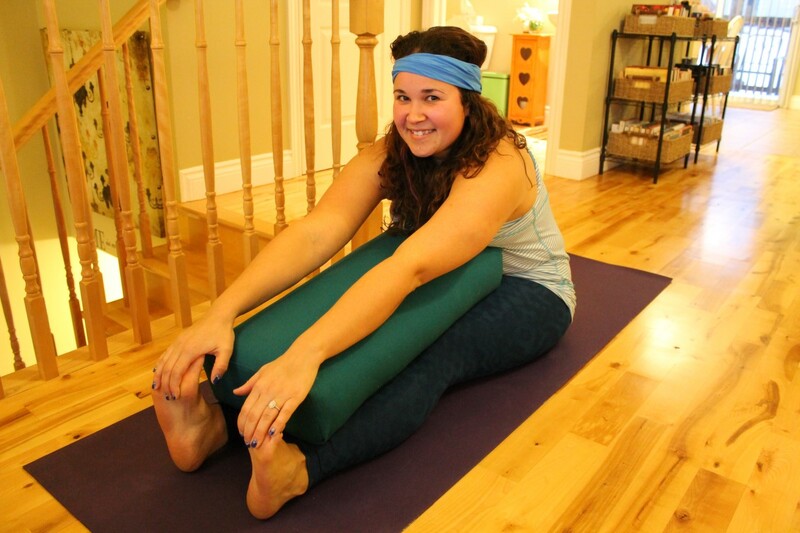 You are right–we need yoga when we think we don’t have time for it. Wow, what a great idea! Maybe I should make a realistic goal like that! How inspiring! Keep up the great work. Thanks for the tip. ah yes: yoga and Canadian companies; Lululemon: The ultimate Canadian company (since Tim Horton’s is no longer Canadian). Nice post. Diane and I learned yoga when we lived in Canada and sadly I don’t do as much as I used to but intend to return to it once we arrive in SE Asia later this month. It’s great for mind and body and everyone should enjoy it once in awhile. Thanks so much for your comment. I’m sure there are a lot of great yoga opportunities in SE Asia!? Maybe this is an opportunity to search for some?! Maybe a 2015 goal for you and Diane! 🙂 What type of yoga did you try when you were in Canada? You are exactly right, yoga is great for the mind and body. For someone like me (a busy bee traveler and hyperactive individual—I like to stay busy), I need/crave yoga to help me stay balanced. Halfmoon’s yoga props help me to do just that. We learned Iyengar and hatha yoga. hate Bikram; too hot. I like flow yoga; Diane? not as much. I love Hatha style yoga and flow styles of practice (power and slow flow). Right now I am studying Vinyasa and Ashtanga and I am getting certified this year as an instructor. Have you ever used any props during your practice. The Halfmoon props have really supported my practice. Thank you so much. You told me you have practiced yoga in the past correct? I bet you must incorporate yoga into your essential oil work?! They would go hand in hand. No, I did not practice yoga by today. I gave my husband a giftcard once for a one-time yoga class for two in order to check it out… but not converted by today. Maybe he just needs another trail run?